Graduating college is a lifetime milestone worthy of a deserving gift to commemorate the occasion. Many parents and well-meaning family members may slip in a wad of cash into that “congratulations” card and call it a day. 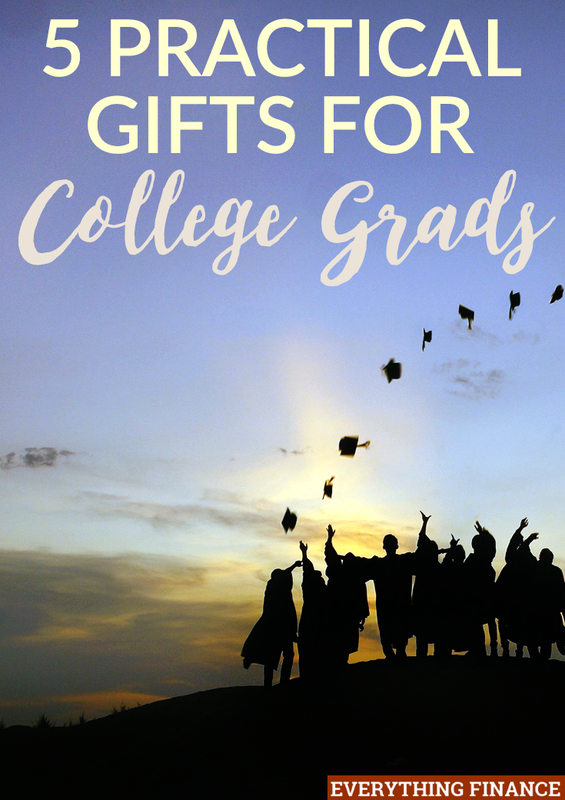 Here are five gifts that college graduates really need. Get your college graduate started off on the right financial path by making a contribution toward the start of their Roth IRA. Teach them the importance of saving money for retirement. While it’s never too late to start saving for retirement (unless, of course, you’re already retired! ), most recent college grads are great candidates to invest in Roth IRAs for because they have the power of compound interest. Most students choose to put saving for retirement on the back burner because they think they have plenty of years before it needs to be a consideration. This is why a Roth IRA contribution is an excellent choice for a gift. Teach them the benefits of saving early and to make retirement contributions a priority. Force your college grad into a savings plan by gifting them shares of stock instead of straight cash. Stocks are great because it teaches students about the market, and also creates a nice cushion of money to fall back on during dire circumstances. It’s good for students to take an active approach in the management of their money. Make sure you guide them through the process so they understand how to use their account and what the consequences of buying and selling are. If straight stocks aren’t something you’re comfortable with, mutual funds or ETFs can be a better solution. Recent college grads may think they know it all, but they can get a lot of help by taking in some wisdom from a financial advisor. A consultation could help them come up with a student loan payback strategy, learn the importance of investing, saving money for retirement and much more. A financial advisor can help even if your graduate doesn’t have a ton of money to their name. There are many professionals out there willing to help millennials out for a monthly fee equal to a gym membership or cellphone payment. The average recruiter will spend 5 to 7 seconds looking at your resume. Help your college grad by having a professional resume reviewer look over their resume. A great resume will help them stand out from the crowd and land a coveted interview in a saturated job market. It’s no secret your college grad may be inundated with student loans straight out of college. Consider helping them out by pitching in a certain percentage every month until they get up on their financial feet. If you’re a parent and your graduate is going to continue living with you, you could also offer them a discount on rent once their student loan payments kick in. Graduating from college may feel like making it to the real world, but most college grads are earning entry-level salaries and attempting to live a champagne life on a beer budget. The best gift you could possibly give your college grad is the gift of knowledge and recognizing the importance of a sound financial plan. What’s the best gift you’ve ever given to a college grad? What about the best gift you received for a graduation present?